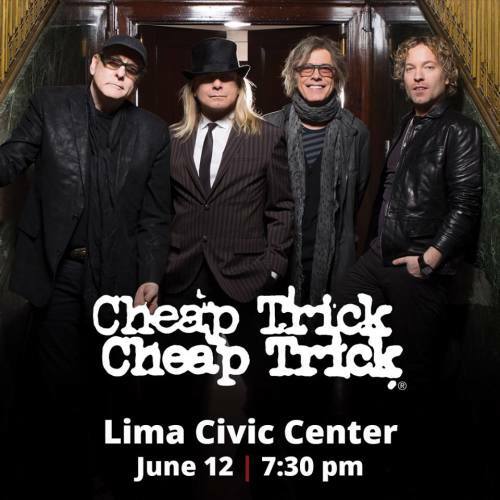 Cheap Trick is coming to the Lima Civic Center on June 12! Tickets go on public sale Friday, April 5 at noon. You can get them by calling the Box Office or at limaciviccenter.com.